Dental implants are artificial replacement teeth designed to become part of the mouth and serve the same purpose as the original teeth. 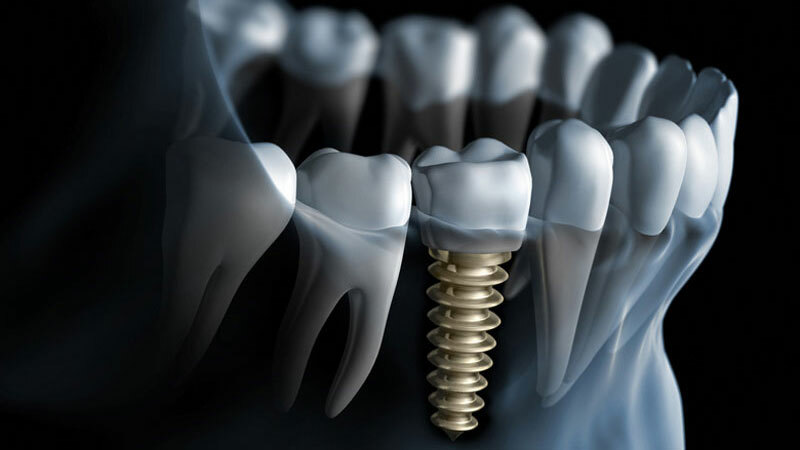 Made of an artificial tooth root and a dental crown, dental implants can be used to replace one or more missing teeth. Dental implants are known for their comfort, functionality, esthetic, and permanent results. Why are dental implants an improvement over traditional dentures? Although traditional dentures have certain benefits, those who have them can sometimes experience slippage, maintenance issues, and other problems. Dental implants are fixed replacements for missing teeth that act as though they are your own. The integrate into the bone and become a part of your mouth, similar to a natural tooth. This can improve chewing, speaking, and the overall appearance of your teeth. That’s one of the chief benefits of dental implants: if well maintained they can last for the rest of your life! If you have missing teeth, you may be a candidate for dental implants. Since the procedure involves oral surgery, a candidate often must have adequate bone density in the jaw and healthy gums. Dr. Joshua Gruber will give you a full evaluation at your initial consultation to determine whether you are a candidate for the procedure. If you do not qualify, Dr. Gruber can recommend a number of effective alternatives to help you replace missing teeth.